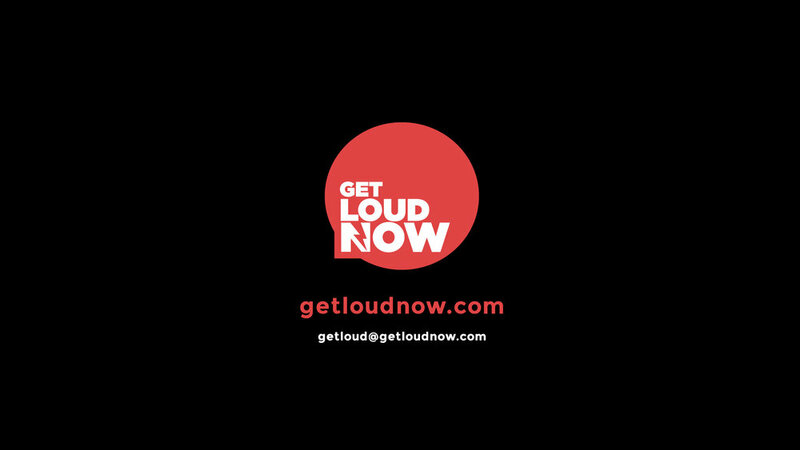 We are weeks away from launching Get Loud Now, a web platform that offers a simple and fun way to send politically-charged postcards to elected representatives. We also make it easy to donate to dozens of issue-related nonprofits. 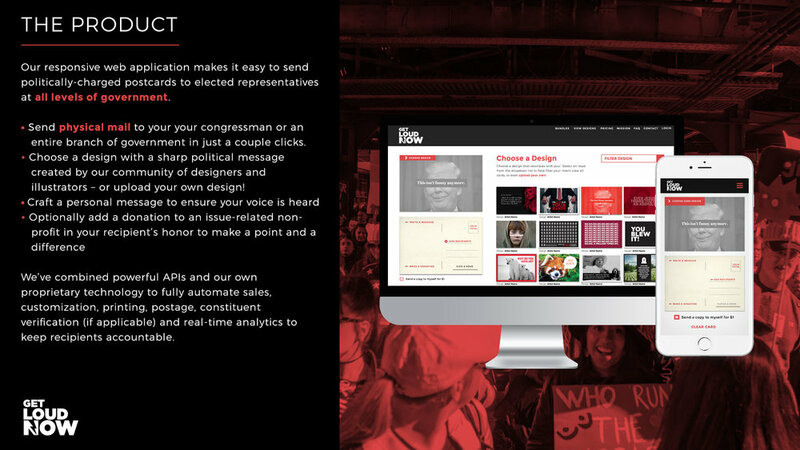 Users can browse and select postcard designs that resonate with them and reinforce their message. We're inviting you to join the community of designers, illustrators, and artists who supply those designs. Although we will have a number of in-house designs, we feel that engaging the artist community is vital. So we're in the process of hand-selecting artists / designers to contribute to the design catalogue. Of course there's a rev-share component so you can actually make money if users choose your design. Most of the artists and designers we've spoken to are eager to just participate in something "meaningful" but we understand the importance of compensation! Feel free to review the deck below, as well as peruse some possible topics on the right side of the page. To get started, fill out the form at the bottom of the page. We want you to do YOU. We're not going to art direct. However, we do want you to consider that the more popular your designs are, the more compensation you'll receive. So obviously we encourage "good" designs. Finally, we plan on launching in a matter of weeks. We are really hoping to get as much content as we can before then. So please keep that in mind! The artists who sign up early will likely be featured in our PR, influencer marketing, and paid social campaigns for launch. This is not the time to slack - it's time to Get Loud! view the deck to get a better understanding of the project. Send us a link to your finished designs or a zip file. Thank you! We'll be in contact soon!